As an online marketer, you will definitely be doing everything you can in order to reduce unnecessary business expenditure and to increase your sales. However, how much thought have you put into decreasing your logistics costs with an efficient e-commerce courier service? Here’s the thing – while asking your customers to pay for their shipping charges can risk the loss of business, providing free shipping every single time can cut into your profits. So how to overcome this vicious cycle of e-commerce shipping and save time and money every single time? 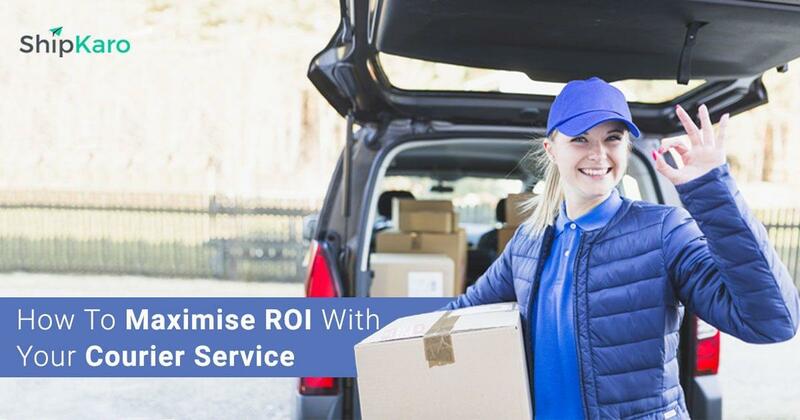 The answer to this is a quite simple, yet an often overlooked solution – secure the most affordable delivery cost on the market for every order. This is particularly true in the case of e-commerce shipping in India. While it may seem like the obvious option, it is not always considered by e-retailers due to several factors. One of the main reasons is the fear of compromising on quality. Also, in order to find the cheapest courier for an order, it is imperative to quote multiple options and find the most affordable option. This is a painfully time-consuming affair. So how to make it easier and simpler? Here are a few tried and tested methods that are sure to help you reduce the cost of shipping for your business and save time and money. Keep these tips in mind if you are on the lookout for an e-commerce courier service for your business. This may look like another obvious point; however, there are still several e-retailers who do not take the effort to compare courier prices and end up paying more than they have to. This is despite the multiple options that are available in the market now. In order to save further time and money, instead of searching individual courier sites and using their shipping calculators, you can use the services of a logistics aggregator like ShipKaro for your e-commerce shipping in India. This way you can get an idea on the prices from different couriers and can compare their services in one place, saving your time and resources. Many online sellers believe that using the same provider for all the parcels is economically more beneficial since it means a potential reduction in shipping costs due to bulk shipping. However, it is not always the cheapest option. Especially if you are selling a range of different types of products via a single e-commerce courier service. This is because different shippers are more cost-effective for certain shipment type, that is, with specific dimensions and weights. Therefore, they may be able to offer competitive rates for such types of parcels, when compared to other couriers. In other words, if you are selling a wide range of products – especially in different weight ranges – relying on multiple couriers would be an effective way to cut down on shipping rates. Here again, using a logistics aggregator platform like ShipKaro for your e-commerce shipping in India can easily help you compare courier prices for individual items. Depending on the shipment you can compare multiple couriers and choose the most convenient option from a single screen and save time and money. We have already mentioned some of the advantages of using a shipping aggregator for your logistics requirements. But what exactly is a shipping aggregator and how can they help you reduce your logistics costs? Shipping aggregators or logistics aggregators work by understanding your shipping requirements and help you find the ideal e-commerce courier service at the best price for your products. But that’s not all! As they obtain the services of leading couriers in the country on a regular basis, they can get reduced rates and pass on these rates to their customers. Moreover, with an efficient logistics aggregator like ShipKaro, you will not only get competitive rates on couriers but also benefit from our superior shipping support and customer service. Depending on the courier service you choose to use, you could avail refunds for shipping errors for e-commerce shipping in India. Please remember that this should not be a tactic to cut back on shipping costs, but in the unlikely event that your courier service fails to meet the guarantee, you are entitled to a refund. However, this is subjective to the policies of the courier service and their refund strategies. In case you choose to rely on a courier that offers money-back guarantees, make sure that you claim your shipping refunds. Shipping cost should not be the only factor while choosing your e-commerce courier service. Imagine a courier service that has a consistently high number of late deliveries and a series of bad reviews. There is a strong chance that such a logistics partner could end up costing you more in terms of disappointed customers and handling returns expenditure. Therefore, along with the discounted rates that a courier company offers, make sure that you also take into account their reputation in the business. That is why it is necessary to research well in advance about your potential shipping partners for e-commerce shipping in India. In order to get an idea on the factors that you need to take into consideration while choosing a courier partner, check out our previous blogs on the topic. So that’s about it – our tips to save your time and money with an efficient shipping partner. We hope that this list will help you in making an informed decision. If you are still unclear, create an account with ShipKaro’s logistics aggregator platform and compare the services of multiple couriers for an enhanced shipping experience. It is free and is bound to make your logistics seamless and efficient. Got further queries? Drop us a mail or leave a comment below!